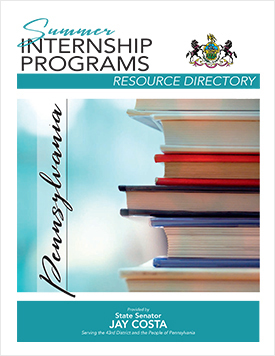 In this Summer Internship Program Resource Directory, you will find information on available internships. Our staff has compiled a list of opportunities, background and contact information. This material will help those who are interested in applying for the positions. Each agency will make a decision on hiring an intern(s) based on their own selection criteria. Please utilize the contact number provided for each agency to learn more about the internship selection process and the status of an application. I am hopeful that it will be helpful to you in finding the right internship opportunity.